Thank you for all of your support to the HOPE project throughout this year. We wish you a wonderful 2018, and look forward to your continued support of our work in the coming year. Author HOPE Hands On Peer EducationPosted on December 21, 2017 December 21, 2017 Categories Community EventsTags 2017, christmas, Christmas 2017, H.O.P.E., H.O.P.E. 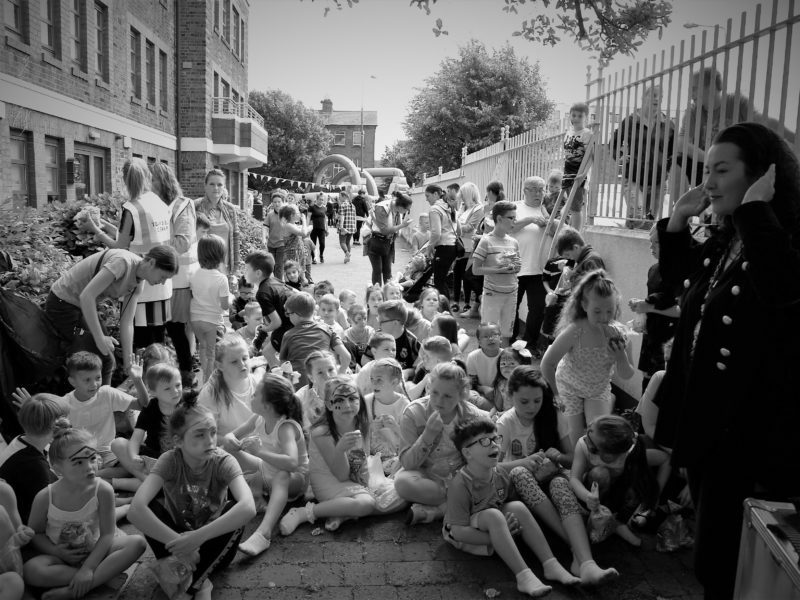 Hands On Peer EducationLeave a comment on Nollaig Shona a chara! 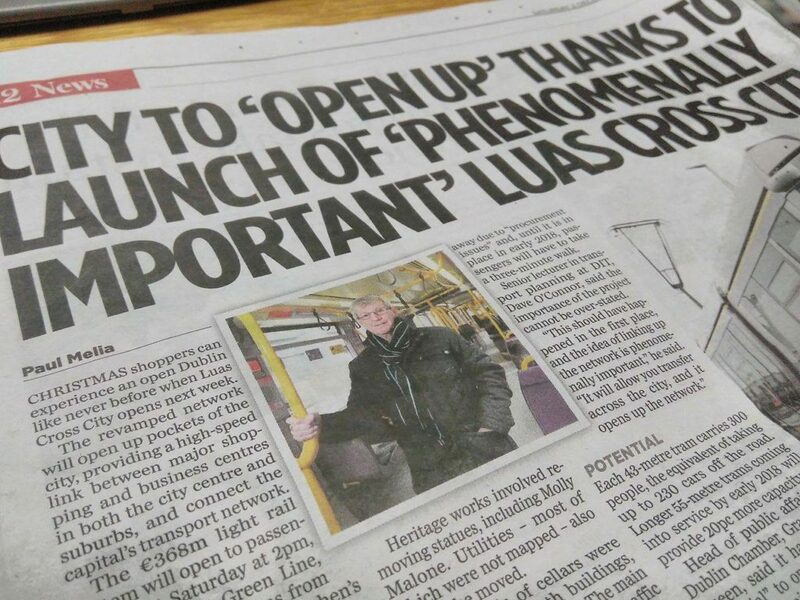 Last Monday, 27th November 2017, Joe Dowling & Terry Fagan were guests of the Luas and some of the first members of the public to make the journey along the forthcoming Luas Cross City. Joined by members of the press, Joe & Terry shared their thoughts on the latest addition to the city’s transport infrastructure. Their discussion was broadcast on the Sean O’Rourke show on RTÉ Radio 1, yesterday, Monday 4th December 2017. Terry highlights the need for more public transport infrastructure and refers to other well connected European cities before we’re reminded of how well connected Dublin was in the years of Joe & Terry’s youth. Joe goes on to discuss the positivity of a well connected city and how this is an opportunity for the north inner city with prospects of shoppers, tourists, new buiness and new jobs being brought to more corners of Dublin’s north inner city. The Herald, in-print, Saturday 2nd December 2017. 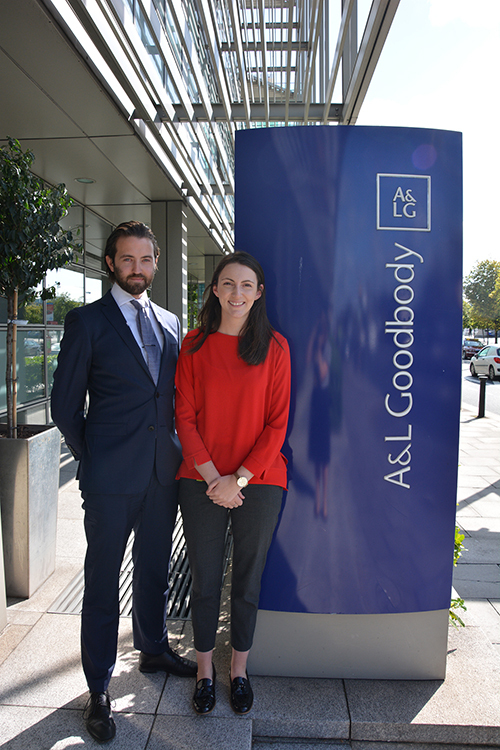 We’d like to say a huge thank you! The winter months can be a difficult time. Especially on the run up to Christmas, the pressure to provide festive support can be excruciating. Today, we’d like to take some time to thank one who has spent the last few months preparing to help those in need this festive season! From all of us in HOPE, we’d like to say a huge thanks to Danny Cummins and his army of recruits. 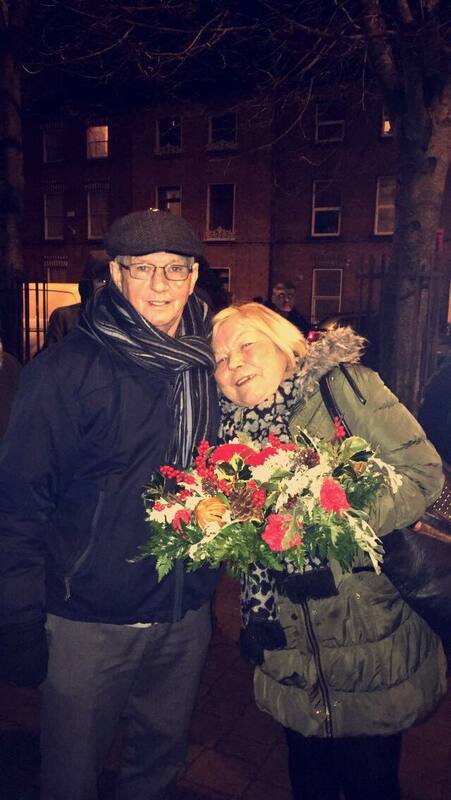 Danny, for all of your gracious efforts recruiting for, organising for, and fundraising for much needed resources and festive support for the communities of Dublin’s north inner city, we cannot thank you enough. Without your hard work and dedication, this festive season drive could not be as remarkable as you have made it. Danny has co-ordinated two fundraising events this year, the drop in the box and the sleep out. Over the last couple of months, Danny and his recruits have gone around collecting what they can from businesses and individuals for the drop in the box . 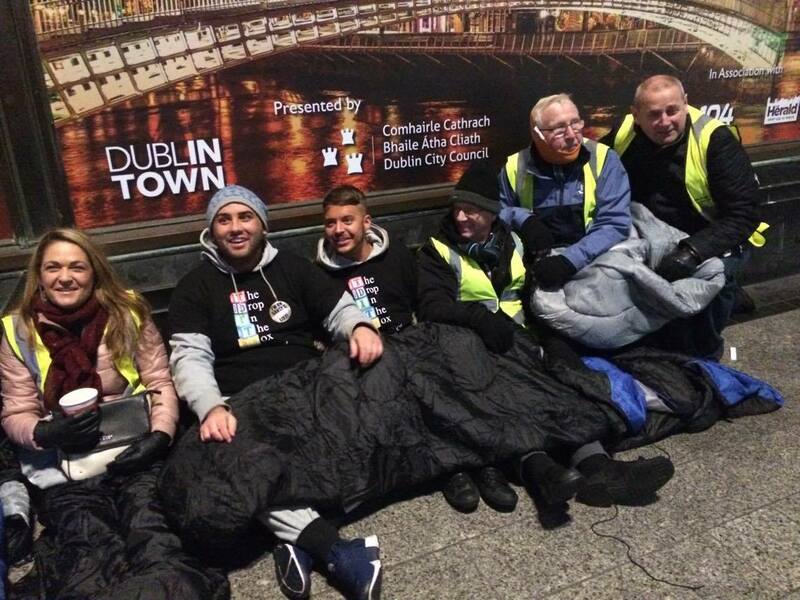 As well, Danny organised a sleep-out fundraiser bucket-collection in the north inner city to help us raise much needed funds for our christmas support drive. 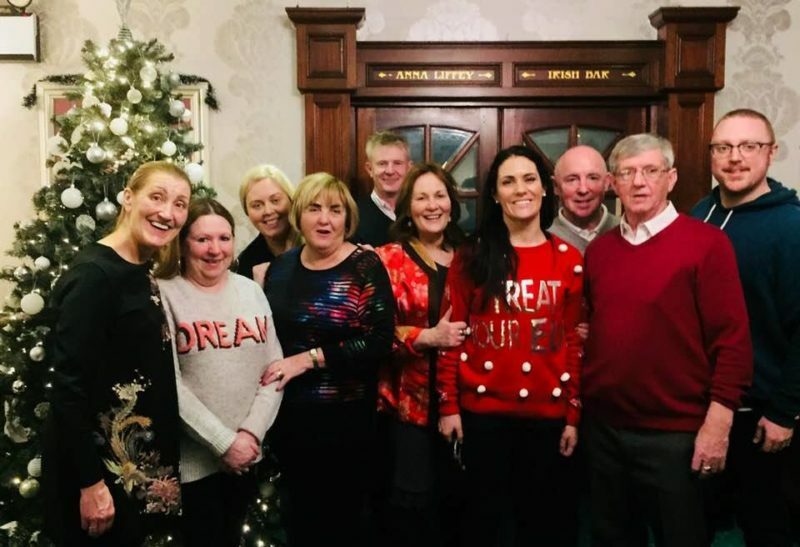 Author HOPE Hands On Peer EducationPosted on December 1, 2017 Categories Community EventsTags 2017, 2018, Christmas 2017, Christy Burke, Danny Cummins, Dublin, Dublin Inner City, Joe Dowling, North East1 Comment on We’d like to say a huge thank you! Want to learn the benefits of gardening and how to prepare your garden? This course will focus on gardening tasks for early Winter. 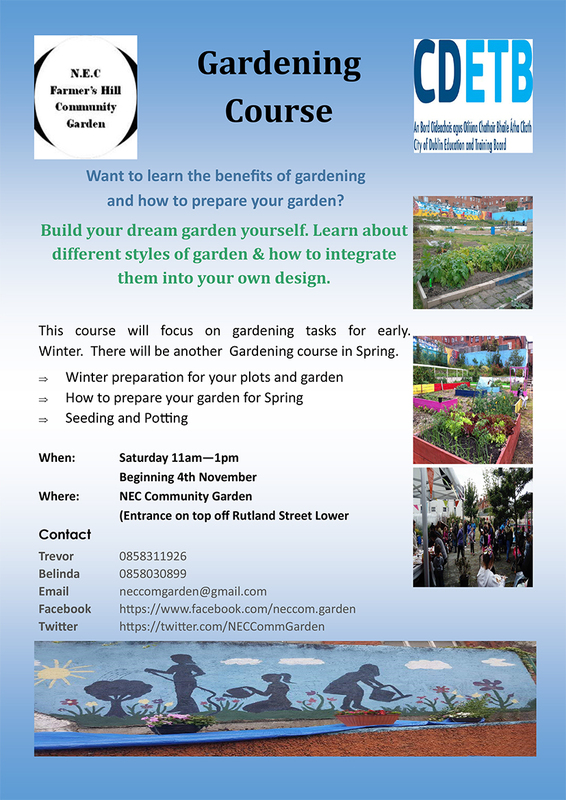 There will be another Gardening course in Spring. Build your dream garden yourself. Learn about different styles of garden & how to integrate them into your own design. What’s going on with the NEIC? 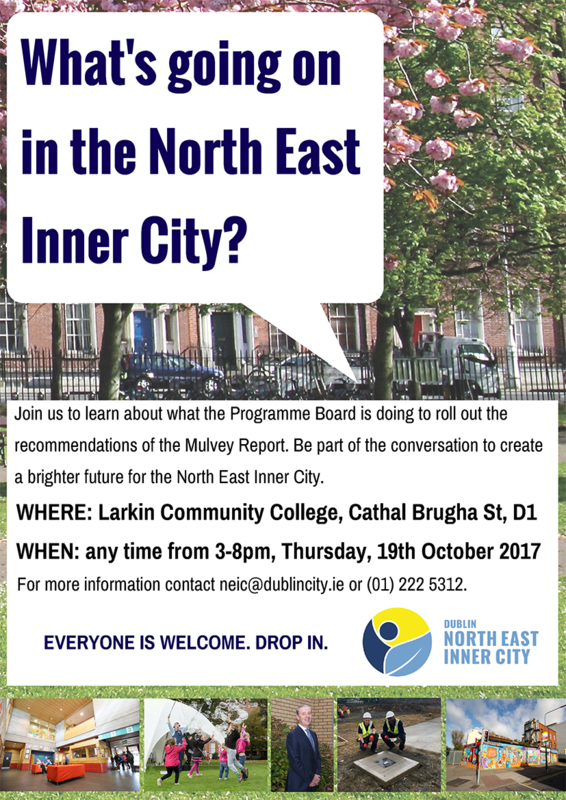 Last Thursday, October 19th, 2017, the communities of the north east inner city were invited to an open-house event in the Larkin Community College, where interested parties could find out about the North East Inner City Iniative’s Programme Implementation Board (PIB), it’s four sub groups, find out aboud what subsequent changes for the area are on the horizon, and meet the people involved. The event was so very positive. It was a great turn-out. Micheal Stone, the PIB Chairperson, was inundated with questions for the entire event. That is something which must be acknowledged, Micheal Stone did not sit down once. For the whole event he was up and engaging with each and every interested community representitive. Even Joe was there for the whole event, and not his usual quick cameo. It was great to see such a good turn out and the high level of engagement on both sides. 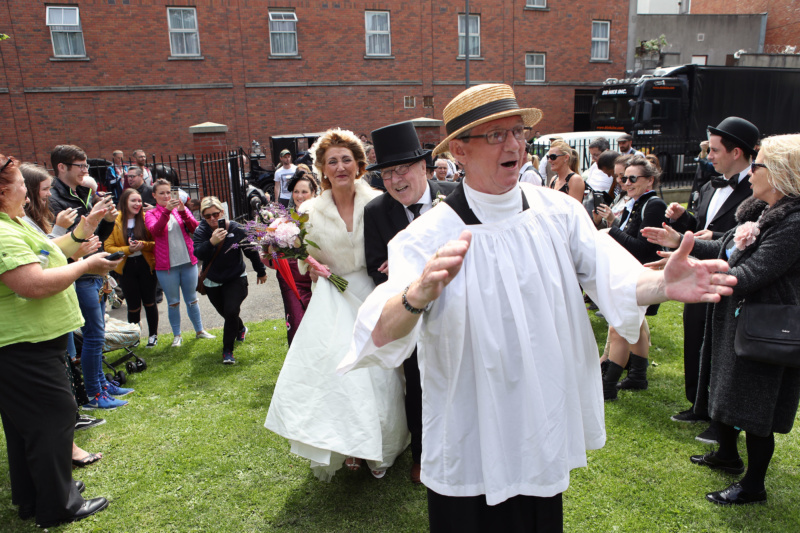 As well, Terry Fagan was out with his Folklore hat on, promoting the lauch of his new local museum. Stay tuned for more details about Terry’s museum. 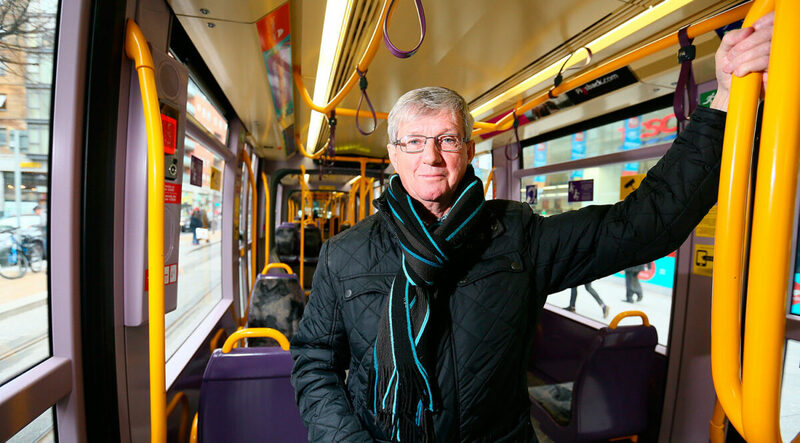 “Following the publication of Kieran Mulvey’s independent report in February 2017, Michael Stone has been appointed Chairperson of the Programme Implementation Board for the North East Inner City (NEIC) Initiative. Work has commenced on the 54 actions in the Mulvey report by the new Programme Office and four dedicated sub groups. Seanie Lamb & Tommy Dolan. 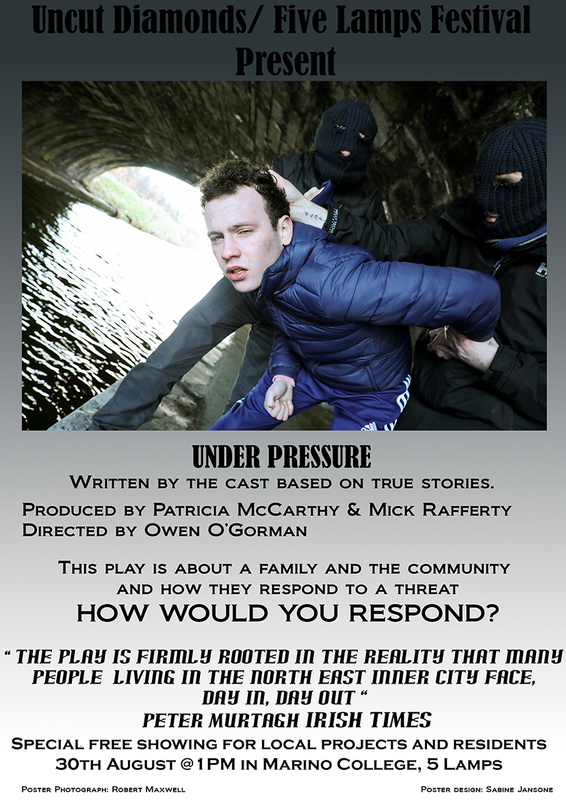 Fergus McCabe, Mick Rafferty, & Pastor Amos. Sean Ward & Cllr. Christy Burke. Sarah Kellagher & Helen McHugh. Cllr. Ray McAdam & Joe Dowling. Joe Dowling, Micheal Riordan, Terry Fagan, & Tony Dunleavy.